George Michael’s art collection – which includes 200 artworks – is set to be auctioned off in London to help raise funds for good causes. Christie’s announced on Friday that it would be selling the pop star’s art collection, which includes works by members of the Young British Artists generation, according to the Guardian. One of the paintings to be auctioned is a portrait of George Michael by Michael Craig-Martin. The collection also includes a dove that was preserved in formaldehyde by Damien Hirst – which could sell for as much as £1.5 million. Cristian Albu of Christie’s said George Michael’s art collection is “a portrait of Britain in the 1990s”, according to the Guardian. Albu continued: “He bought works which resonated with him. 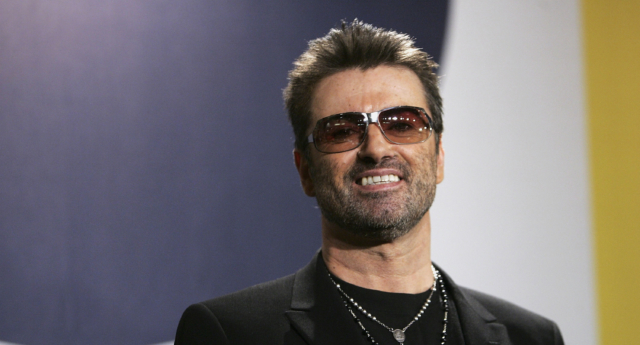 In December, it was revealed that an AIDS charity is still receiving donations from George Michael’s estate two years after his death. His estate has continued donating funds to the Los Angeles based Project Angel Flood, which was founded in response to the HIV/AIDS epidemic and provides nutritious meals to those suffering from life-threatening illnesses. Children’s charity NSPCC also received a surprise donation from the late singer’s estate. In October, it was revealed that unreleased music by the late pop-star will feature in an upcoming Universal Pictures film, Last Christmas. The film will be released on November 15 2019 and is billed as a holiday romance set in London. It will star Emilia Clarke and Henry Golding as the main characters, with Emma Thompson attached to write the screenplay. The film will also feature Wham!’s 1984 hit song, “Last Christmas”. Michael had been signed on to participate in the film’s creation before he died unexpectedly on Christmas Day in 2016. The first draft of the movie script also reportedly included a trans lead, but Kimmings said she did not expect the character to make it to the final script. “[When] I wrote my draft, I tried to slip in some trans people and make sure there was queer politics in there,” she said.